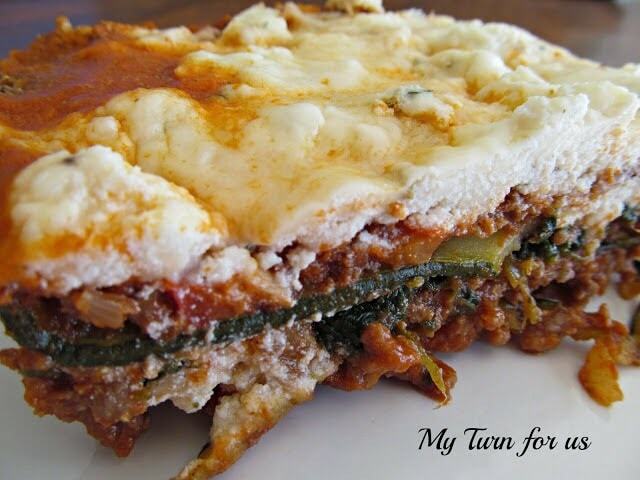 An Eggplant Parmigiana made with homemade Italian red sauce. It’s a fried eggplant Parmesan Recipe which is lower in carbs. Eggplant Parmigiana and eggplant parmesan are the same; the only difference is the cheeses that we usually use. But things have evolved to the point that these two terms are interchangeable. And most recipes are made with parmesan, cheese not parmigiana cheese. 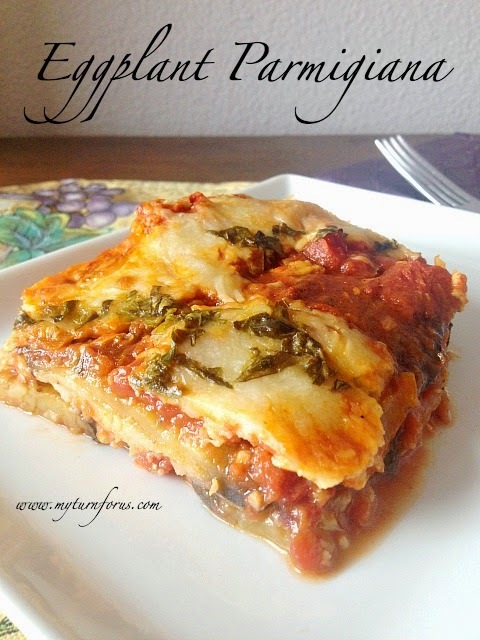 If you are looking for a great meatless meal that your whole family will enjoy, then try this Eggplant Parmigiana. 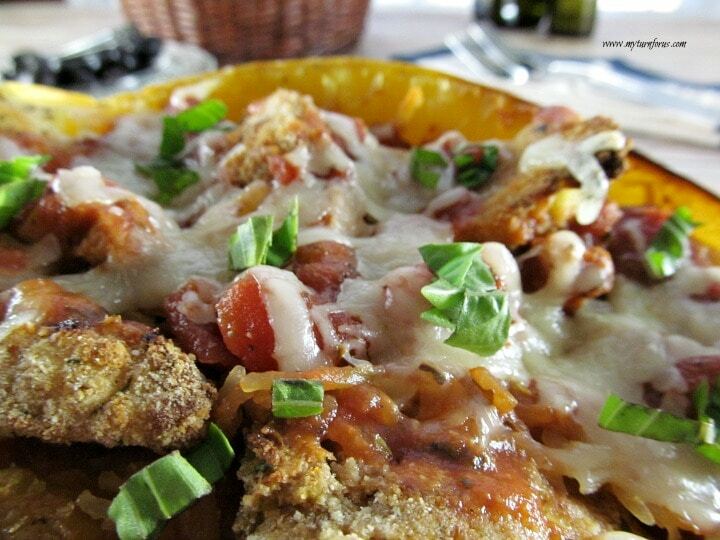 It is also a low carb fried eggplant parmesan recipe that your entire family will love. We did not coat the eggplant in this eggplant parmesan making it lower in carbs. It’s just a burst of great Italian flavor with a healthier twist. We also made a homemade red sauce for this pan of eggplant parmesan. It’s easy and well worth the little time it takes. 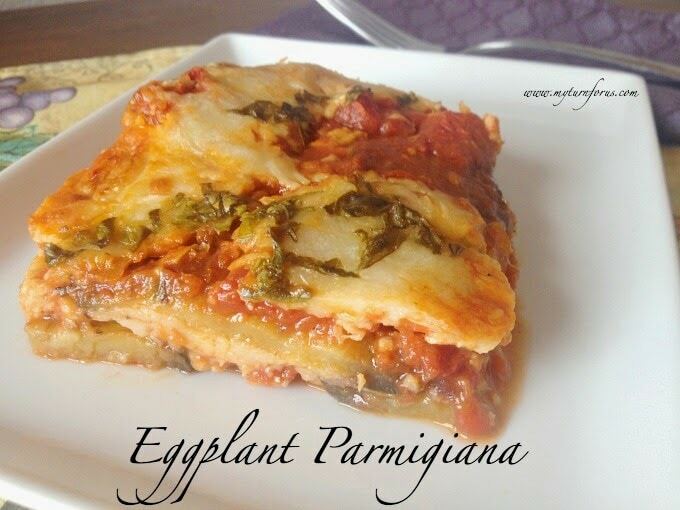 This eggplant parmesan is also a great meatless meal, but it’s not a vegan since we do use chicken broth in our sauce. The trick to a delicious Eggplant Parm is using a kitchen mandolin for thinly sliced eggplants. After frying them, it’s just a matter of assembling this Italian casserole dish. And another quick tip is using fresh basil, we usually have a pot growing on the windowsill in the winter and a garden bed of it in the summer. We serve our pan of eggplant parmigiana with a loaf of crusty bread and a quick salad. And this is easy enough to make for a weeknight dinner. Cover the bottom of a dutch oven with olive oil and heat on med heat. Add garlic and cook for 2 minutes, stirring constantly. Lower the heat to low and let the red sauce simmer for an hour or even more. Remove carrot and discard before serving. Fry the eggplant slices in just enough olive oil to cover a large skillet. Only fry 2 to 3 slices at one time about 4 minutes on each side. Drain on paper towels and season with salt and black pepper. Spoon enough red sauce in the bottom of a 9 X 13 casserole dish to just cover the bottom. Place half of the slices of the cooked eggplant over the sauce, cover with more sauce. 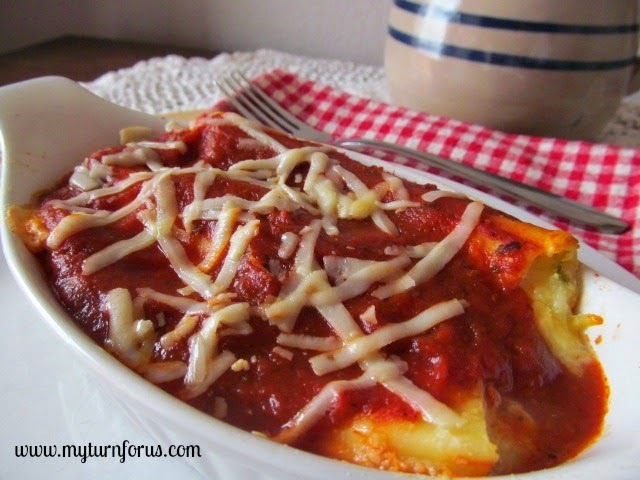 Top with half of the mozzarella cheese and half of the Parmesan cheese. 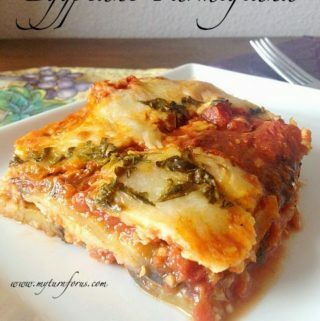 Layer with remaining eggplant slices, red sauce, mozzarella, and Parmesan cheese in that order. Sprinkle with the chopped fresh basil. Bake for 40 minutes uncovered until cheese is melted and bubbly. Let cool about 10-15 minutes before serving.